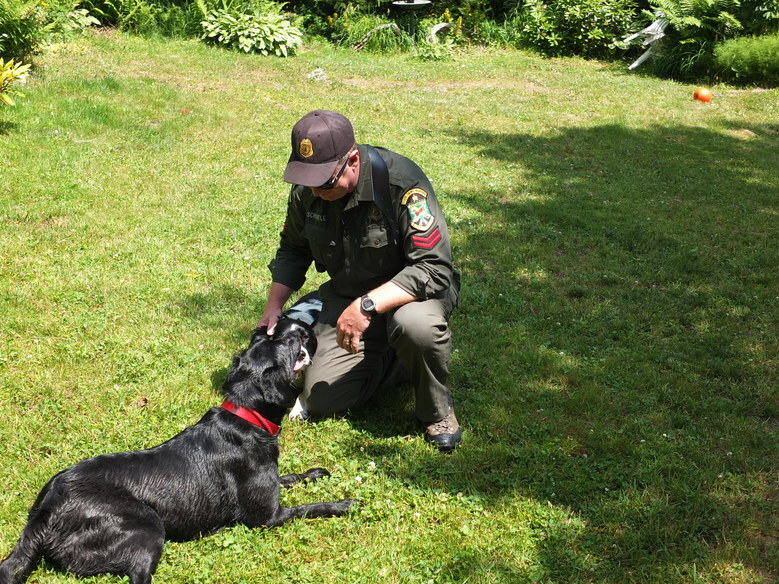 In the fall of 2011, Warden Mark Schichtle and his canine companion, Magooch went on their first search and rescue mission. 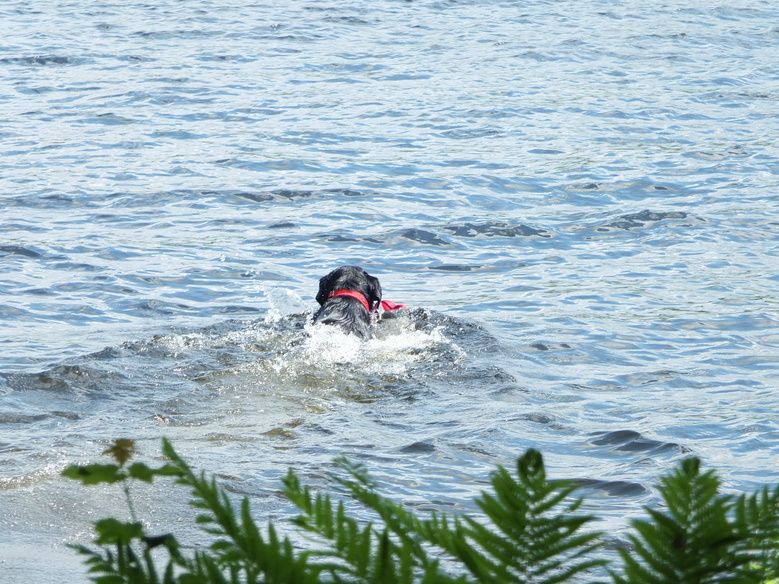 A man who had a vacation home in the Groton area, took his dog and went for a walk. 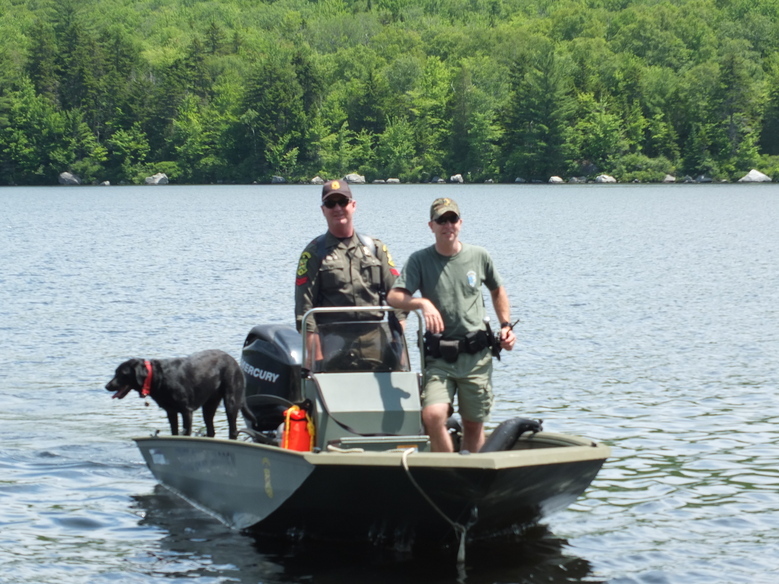 The man's wife reported him and the dog missing after he had not returned home several hours later. A severe thunderstorm had swept through the area earlier. 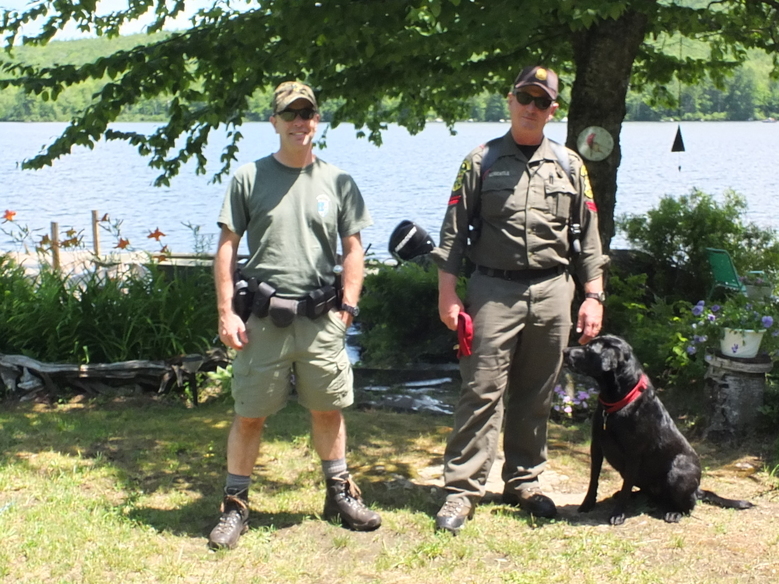 ​Warden Schichtle and Magooch, his newly trained Labrador responded to the call.. After a search of more than two and a half hours in the dark, in wooded terrain, Warden Schichtle and Magooch located the missing man and his dog. 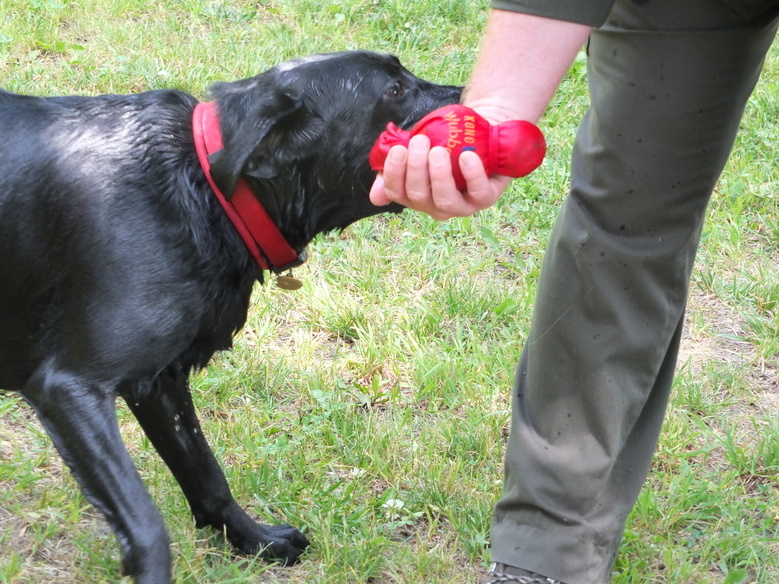 This resulted in a happy ending for everyone and a rescue job well done, thanks to the Warden and his dog, Magooch.